Support hunger strikes for the Palestinian prisoners, currently engaged in the Strike of Freedom and Dignity in Israeli jails for the past 21 days, have continued to grow. 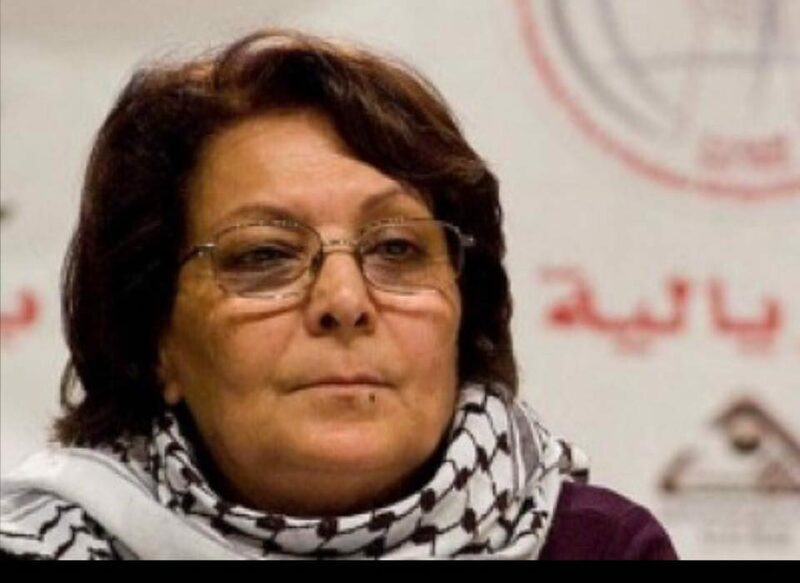 On Saturday, 6 May, Leila Khaled, the historic Palestinian resistance icon and active present-day political leader, announced an open-ended hunger strike in support of the striking prisoners. 1500 Palestinian prisoners launched their hunger strike on 17 April, Palestinian Prisoners’ Day, for a series of demands, including an end to the denial of family visits, proper health care and medical treatment, access to higher education and an end to the use of solitary confinement and administrative detention, imprisonment without charge or trial. The strikers have faced harsh repression, including denial of legal and family visits, confiscation of personal belongings and even salt. Hunger strikers consume only salt and water to protect their health. Leaders of the strike, including Fateh leader Marwan Barghouthi, have been thrown in solitary confinement. A series of prominent leaders, including Ahmad Sa’adat, Abbas Sayyed, Ibrahim Hamed, Hassan Salameh, Zaid Bseiso and Ahed Abu Ghoulmeh have joined the strike, as well as the longest-serving prisoners in Israeli jails, Nael Barghouthi and Karim Younes. These support strikes by prominent figures also reflect ongoing collective strikes organized inside and outside Palestine by Palestinian and solidarity groups. Inside Palestine, a number of former prisoners as well as prisoners’ families have launched support strikes along with the prisoners in Israeli jails. 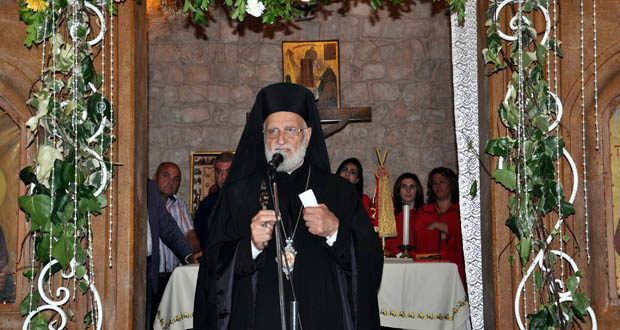 Long-term former prisoners like Fakhri Barghouthi have vowed to continue their strikes until the victory of the strikers inside prison. From the Palestinian refugee camps of Lebanon, youth are also standing with Palestinian prisoners. The Palestinian Youth Organization in Nahr el-Bared refugee camp announced that four of its members were launching a hunger strike to support the prisoners’ strike in Israeli prison. 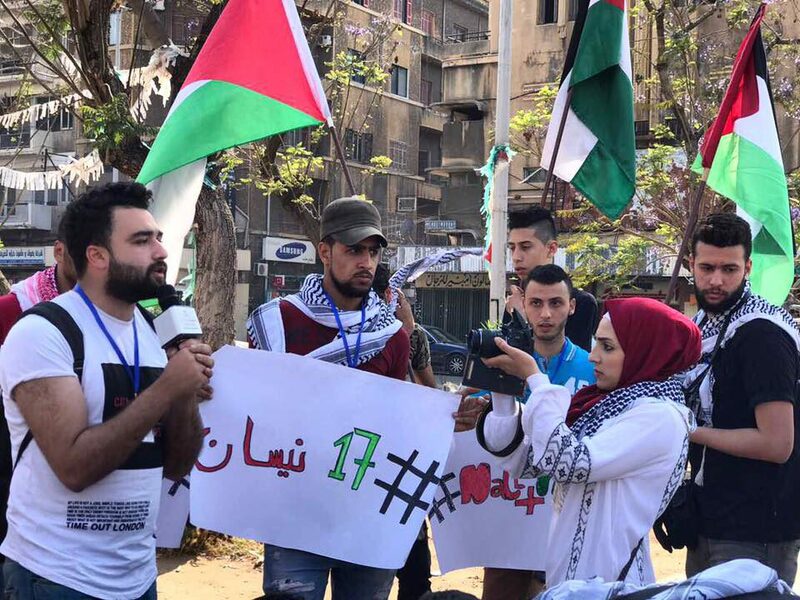 The announcement came after PYO organizers joined the Lebanese Association of Democratic Youth to distribute salt and water in the center of Tripoli in support of Palestinian prisoners on hunger strike. Palestinian and Lebanese participants distributed information about the hunger strike before the PYO activists announced their hunger strike. 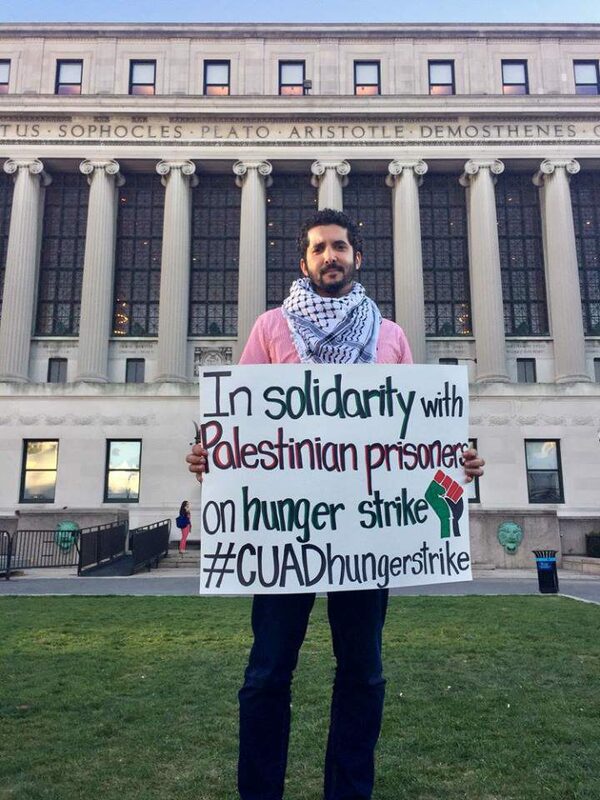 Meanwhile, illustrating the breadth and diversity of solidarity actions with the prisoners, Columbia University students in New York who are part of the Columbia University Apartheid Divest campaign are holding a rolling hunger strike in New York City. 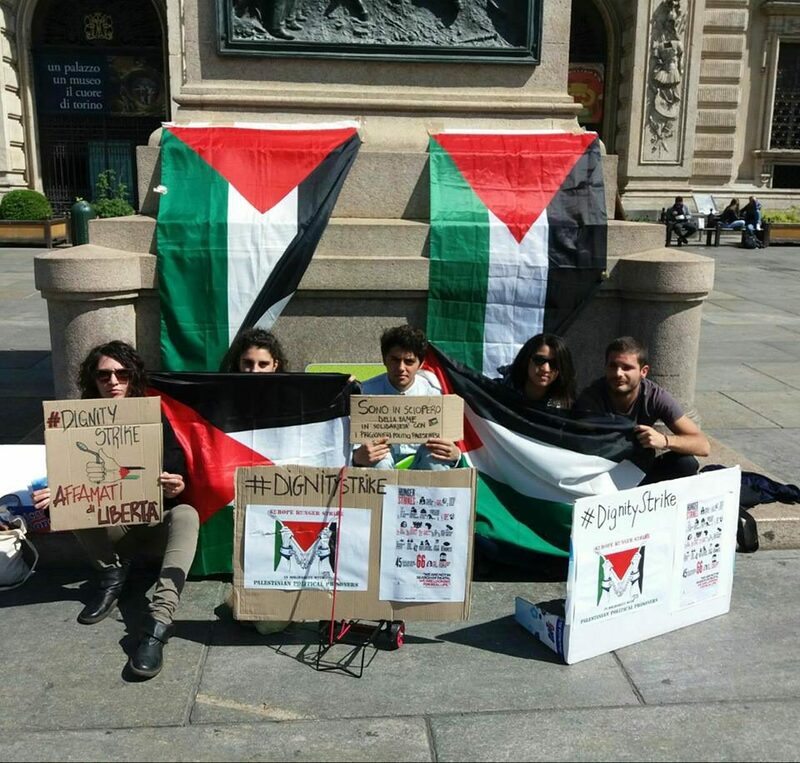 “CUAD stands firmly in solidarity with the resilient Palestinian prisoners in the call for justice, freedom, and dignity,” the group said. 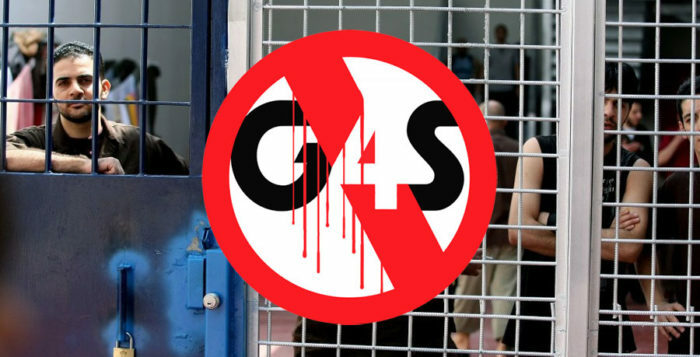 Beginning on 4 May, each CUAD member is launching a 24-hour hunger strike in solidarity with the Palestinian prisoners, a rotation that will continue until the end of the Palestinian prisoners’ strike. The strike is being joined by students elsewhere in Italy, in Madrid, in Maastricht and in other cities and campuses. In Bologna, organizers will gather on 9 May to launch their solidarity strike. These events also come alongside ongoing hunger strike campaigns at Edinburgh University, where the Communist Society has been engaged in a hunger strike to support Palestinian prisoners, and the University of Manchester, where the BDS Campaign at the University engaged in a week-long strike to support the prisoners. At both universities, the student groups have experienced censorship and repression when speaking about the struggles of the Palestinian people.